Drawing attention to marine debris! 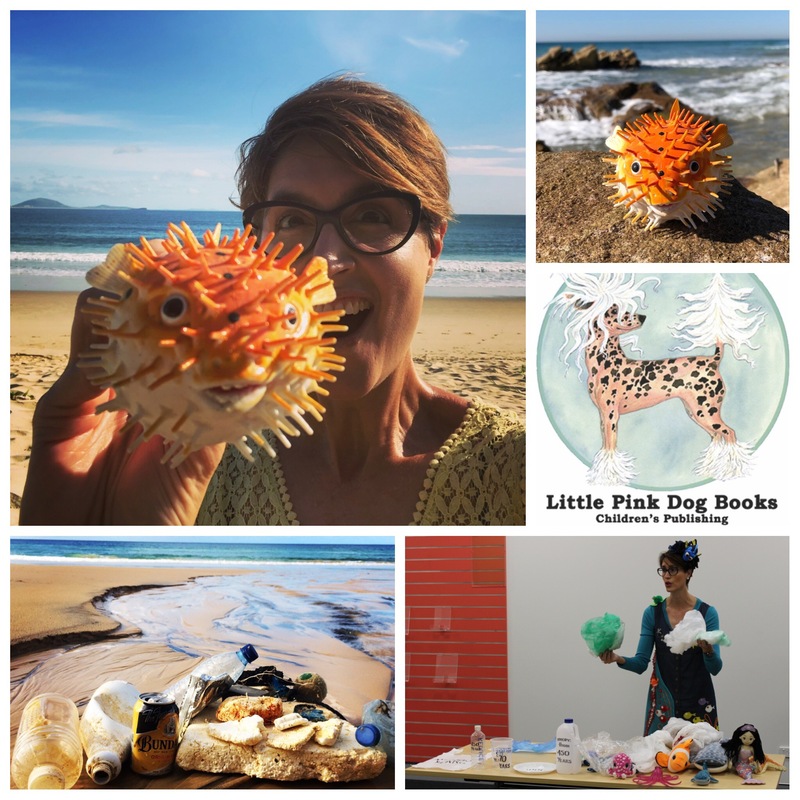 I am VERY excited to announce that I have just signed a contract with Little Pink Dog Books to publish my second picture book “Cranky Frankie: Oceans of Trash“, by my alter ego and Authorstrator Dr Suzie Starfish ! I’m thrilled to now be working on a series of ocean science stories for children illustrating important environmental education messages! This story will draw attention to the impacts of marine debris and ocean plastic pollution told through the eyes of a very feisty, spiky and cranky Porcupine fish named Frankie! I’m absolutely delighted to be publishing with Kathy and Peter Creamer of Little Pink Dog Books and I can’t wait to share our creative collaboration with you. This great news also goes to show that you “just have to keep swimming” and believe in your stories! I created this story as I spend a lot of my time either near, on or underwater and I am SO cranky when I ‘sea’ the tides of rubbish, plastic and even thongs and toothbrushes along the beach and floating in the ocean! Marine debris doesn’t just magically appear, WE are the cause of it, so WE are the ones who need to stop the tide of our oceans of trash. This story will illustrate the impacts of marine debris on our ocean ecosystems and marine species which will be entwined with messages of hope, solutions and ocean optimism. You can ‘sea’ more about the story behind this story and the progress of the story via my website at https://drsuepillans.com/books/marine-debris/ and the story’s hashtag #takeyourtrash. I’m looking forward to diving into this new creative collaboration with Little Pink Dog Books and can’t wait for you to ‘sea’ the progress of creating my next story about the importance of protecting our Blue Planet. I write children’s picture books to illustrate to our future ocean stewards, our children, the wonders of our underwater world so they fall in love with and protect our oceans. I also use science in fiction to inform children about the status of our marine environment by using the power of positive storytelling — as I believe science in storytelling can excite, engage and importantly educate our children about our oceans. You can also dive in with me and my ocean storytelling as Dr Suzie Starfish on Facebook and @suepillans on Twitter and Instagram.